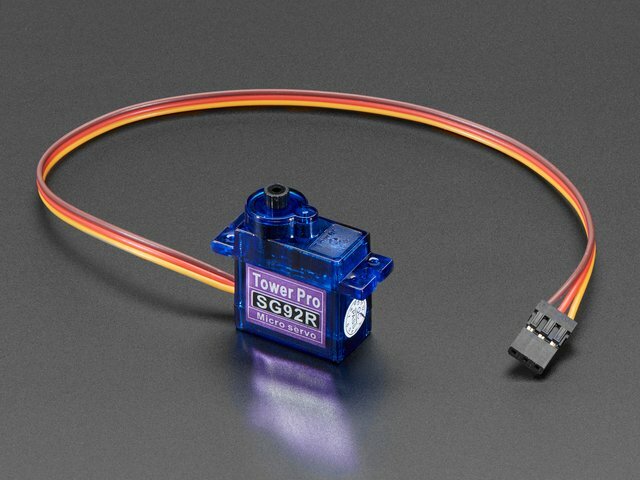 The MG92 Micro Metal Gear Servo will work for the pan-base but will not fit the tilt bracket! The photo on the left shows the area that needs to be cut away to fit inside the pan-tilt base. The excess plastic can be easily trimmed using a sharp hobby knife, or a pair of wire cutters. Insert the servo into one side of the pan bracket. Assemble the second side of the pan bracket to enclose the servo. Attach the two halves of the pan bracket using two screws as shown. Attach the 4-armed servo horn to the servo shaft using one of the short screws as shown. Use one of the shorter screws to attach the base to the servo shaft. The longer mounting screws packed with some servos will damage the servo if screwed in too far. Tip: Align the servo horn so that the longer arms are vertical when the servo is at the midpoint of its rotation. Attach the base to the servo horn, using 4 of the smallest screws as shown. Mount the servo so that the shaft alingns with the pivot hole and attach with the two screws as shown. Fit the single-armed eservo horn into the recess in the pan-base and attach it with one of the smallest screws. Align the servo shaft from the tilt bracket with the hole in the servo horn. Snap the tilt bracket into place, using a small screwdriver as a lever to lift the pivot hole over the pivot pin on the tilt-base. 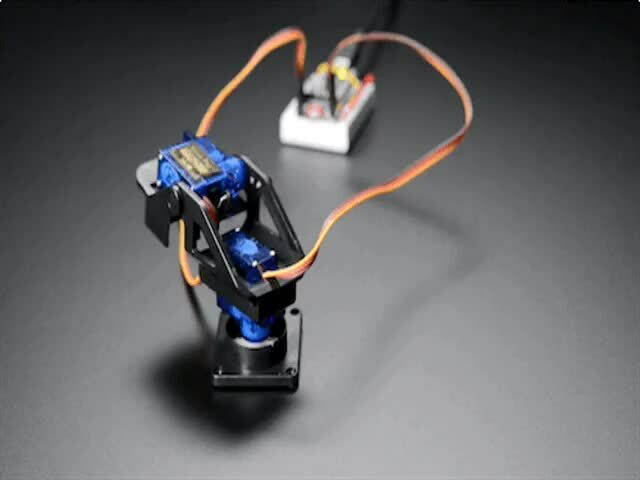 Make sure that the tilt bracket can move through the full 180 degrees of servo motion. If not, detach it from the servo horn, rotate and re-install. Complete the assembly by securing the horn to the shaft with a short screw. But what about the leftover parts? 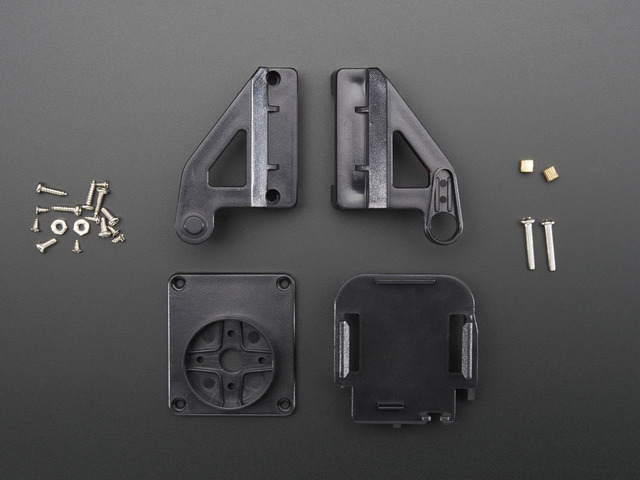 When you finish assembling the kit, you will have several machine screws, nuts and threaded inserts leftover. These can be used to attach the base to your project. Or you can save them in your parts-bin for future projects. This guide was first published on Aug 04, 2015. It was last updated on Aug 04, 2015.